Getting your life back the way it was after an unfortunate event is the promise. The challenge is to say it in the fewest words possible. 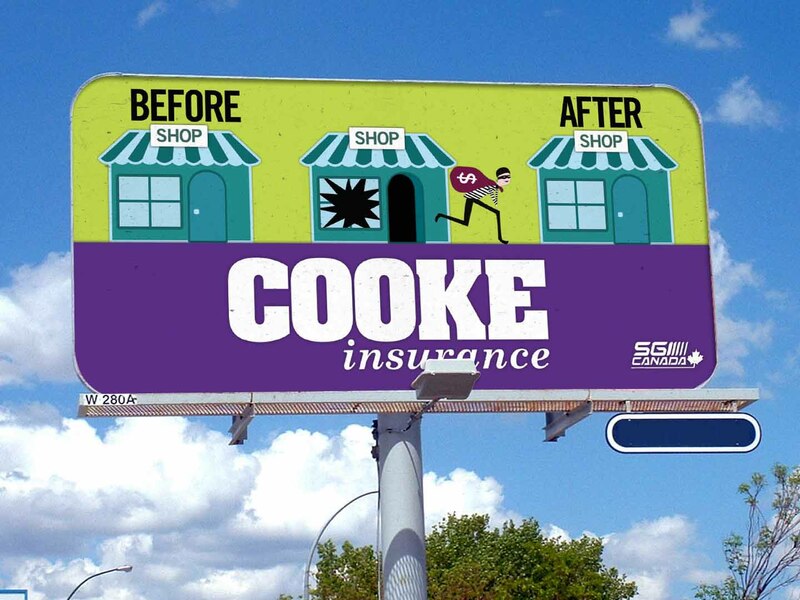 Cooke Insurance had long used a bold photo-based visual strategy and was considering to re-energize their advertising presence with a new eye-catching approach, for which I was tasked to develop a simple, colourful direction without using photo assets. 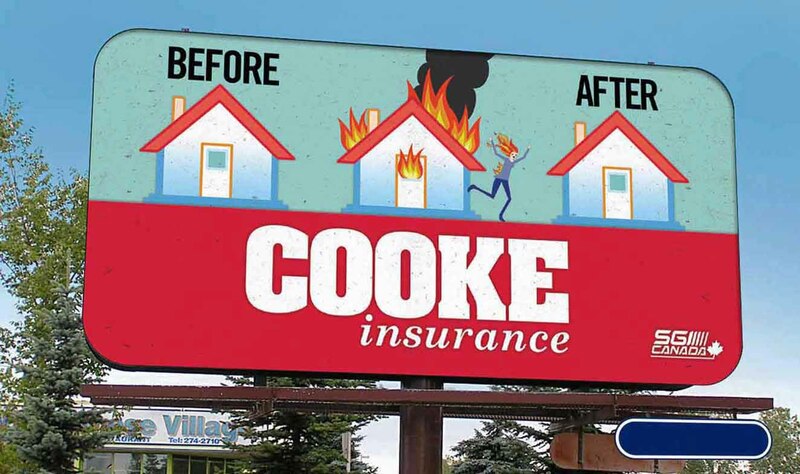 Using visual repetition and the simple messaging concept of the Before & After, we were able to achieve a purposeful message that communicates the benefit of the client’s service to potential clients. 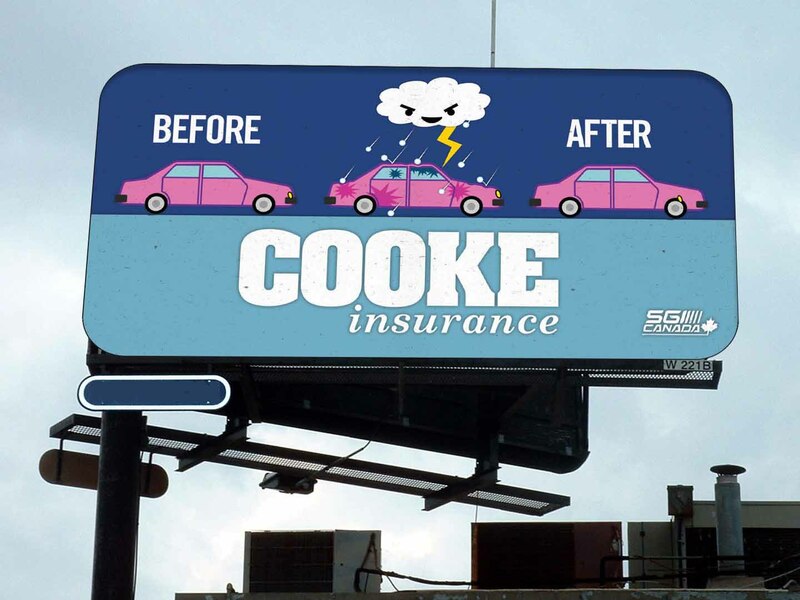 This new visual strategy proves to be versatile as the initial series targets 3 types of audiences – home owners, business owners, and vehicle owners – without the need to modify the core message.